Do you need to re-insulate your home in the Chicago area? Call ThermaSeal / Lakeside Insulation about our retrofit (re-insulation) insulation services! A part of the Installed Building Products family of companies, we add energy efficiency, comfort and value to all types of homes. Whether you need to insulate the attic or need to install insulation in multiple areas of your home, ThermaSeal / Lakeside Insulation has highly skilled professionals that will make sure you get the solutions you need. No matter what type of home insulation you’re looking for, our home insulation contractors can help! 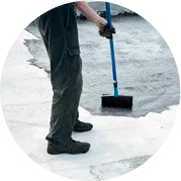 Whether you’re looking for fiberglass insulation for the attic, spray foam wall insulation or anything else, you can rely on ThermaSeal / Lakeside Insulation for on-time, affordable installation. We are dedicated to providing the Chicago, IL area with the highest quality and most reliable home insulation. Contact us today to learn more about our services or to get a free estimate for your initial home insulation assessment!